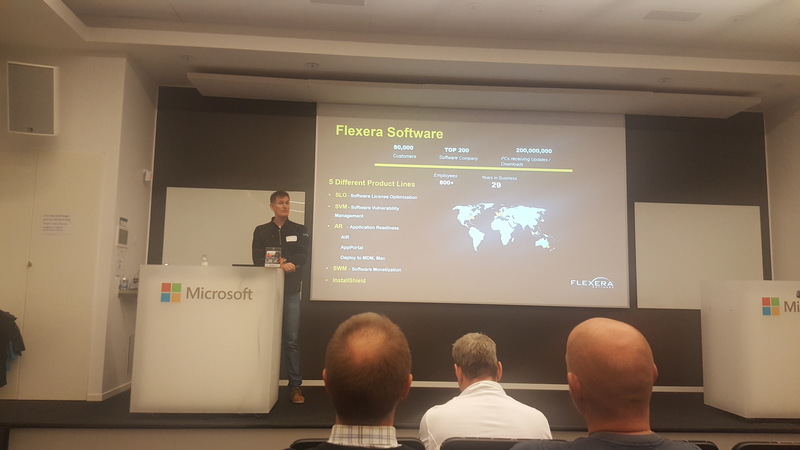 The event was held at Microsoft’s Kista office in Stockholm, Sweden. 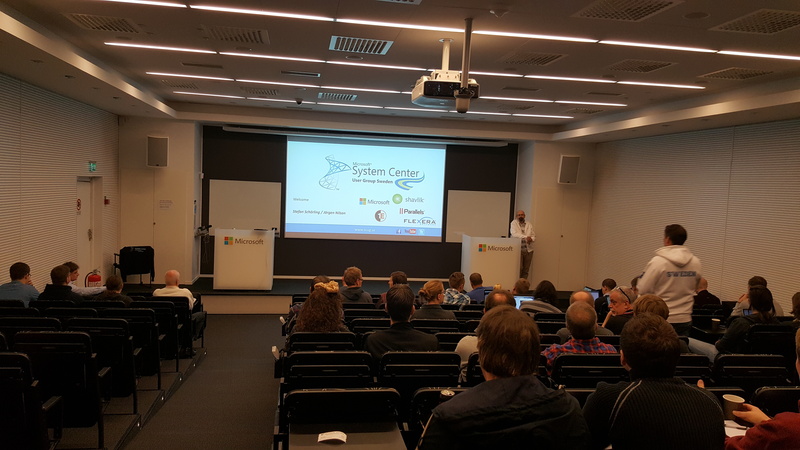 at 08:00 MS opened there doors and registration began for all the attendees. 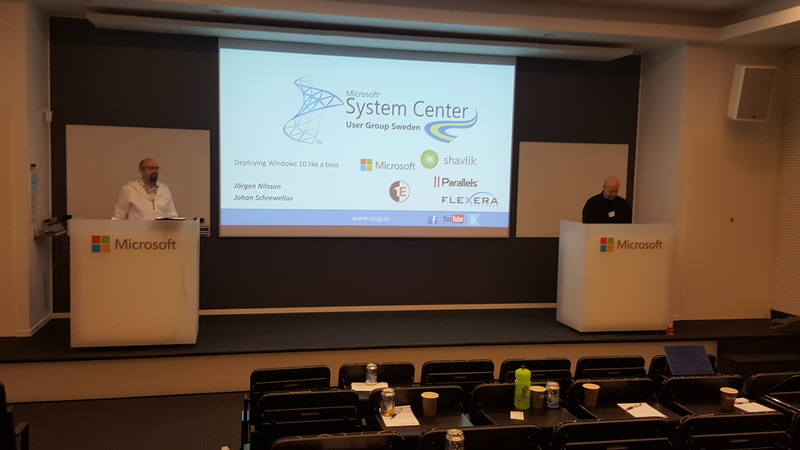 The day started out with Stefan Schörling and Jörgen Nilsson greeted everyone welcome, I’m not sure how many there attendees there were but my guess would be around 30-40 people in total. Next up was one of the Sponsors Shavlik. 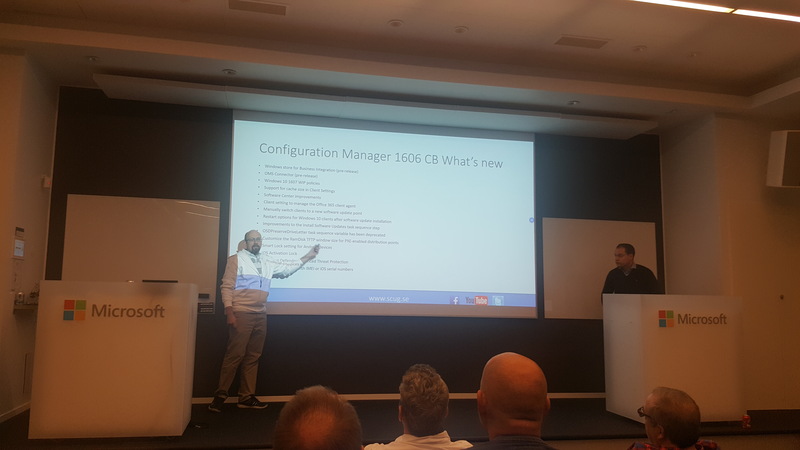 Guido talked about 3rd party Patch Management and there and their plugin to ConfigMgr that will help you deploy 3rd party SUP’s from ConfigMgr. 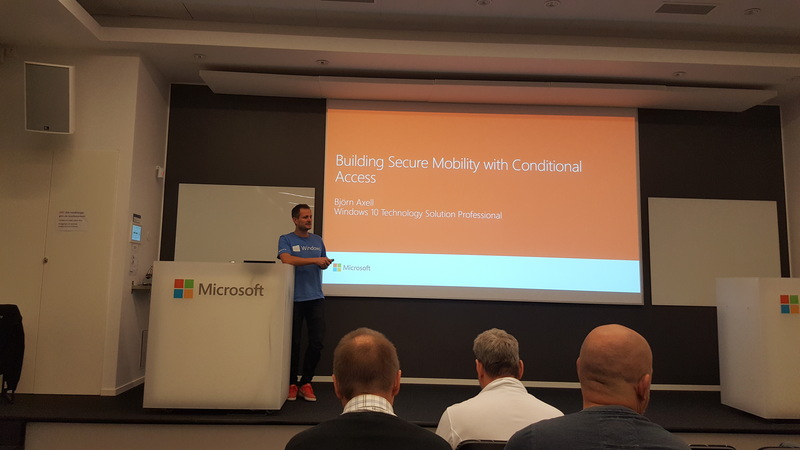 Next speaker to the stand was Microsofts own Björn Axell who talked about “Building Secure Mobility with conditional Access”. 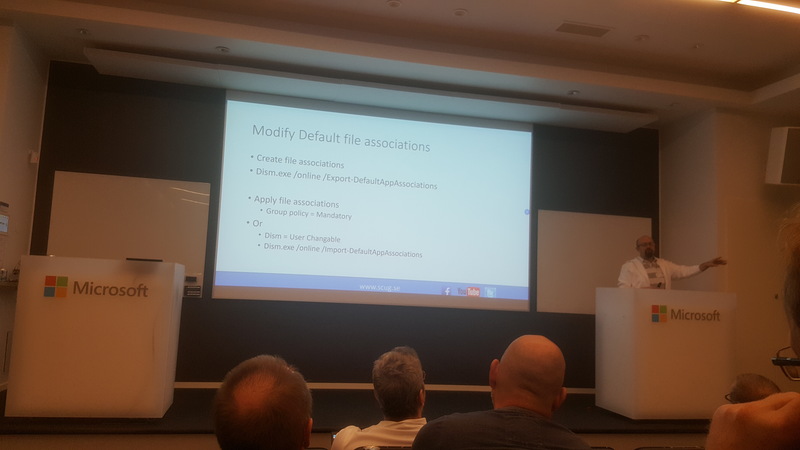 He showed off some examples on what you could do like having certain rules being applied depending if a users was on premise or not. 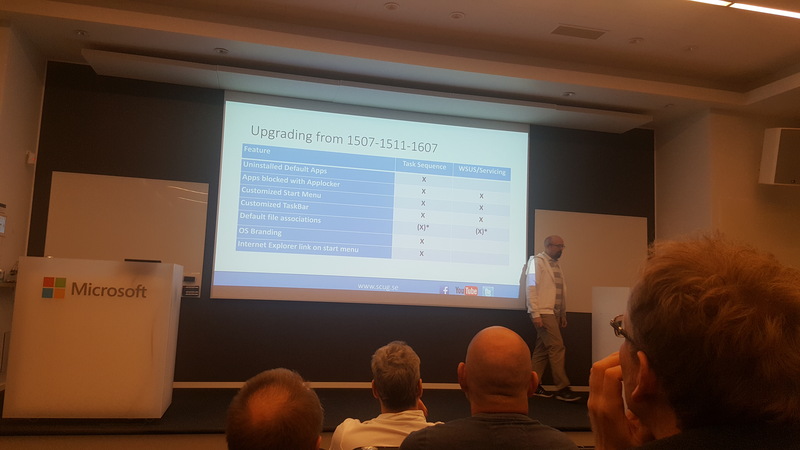 Jörgen Nilsson was back again and talked about what the most important features and changes made since the 1602 release and onward. 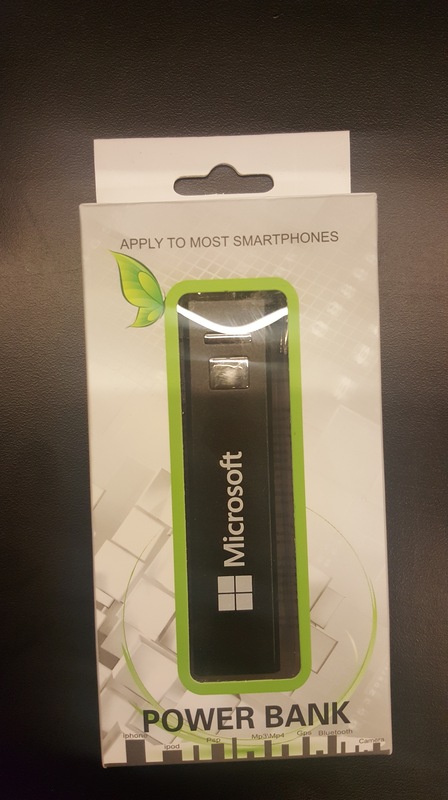 T-shirts and powerbanks were handed out as well, either to people who asked good questions or gave the correct answer to a question aimed for the audience. 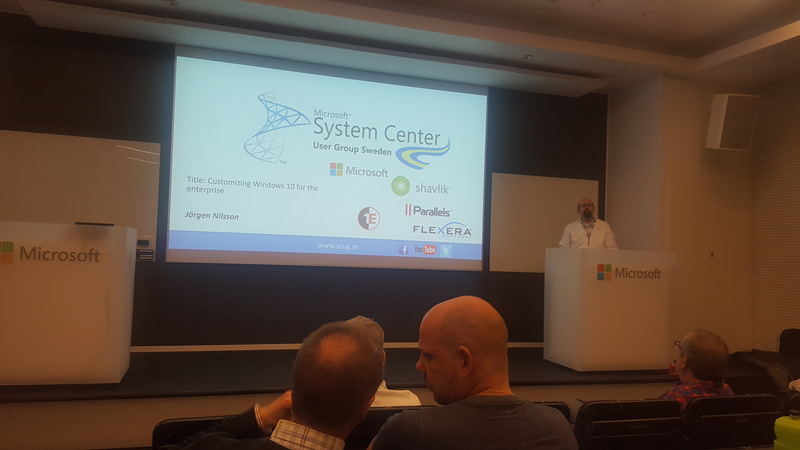 And after that it was time for Lunch. 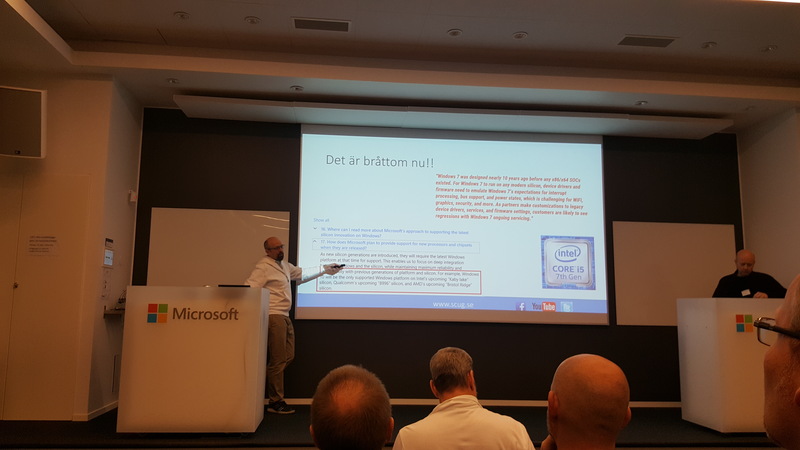 And guess who entered the stage yet again, Mr Jörgen Nilsson who this time talked about “Customizing Windows 10 for the enterprise”. 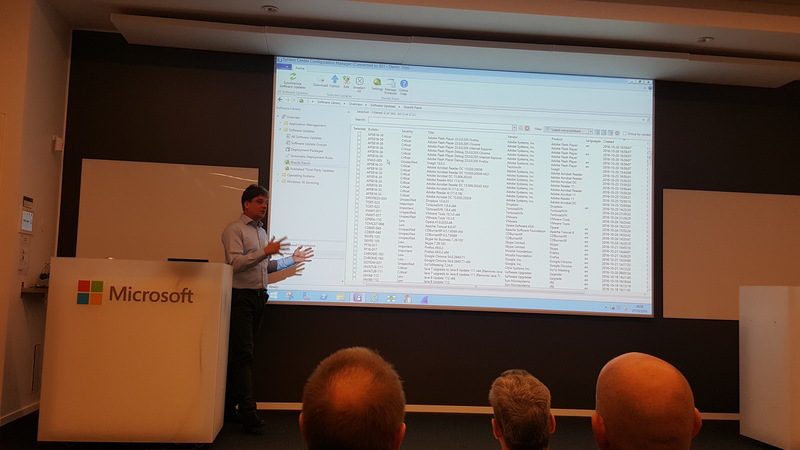 Working with new GPO’s, DISM and XML-files to be able to achieve different results. 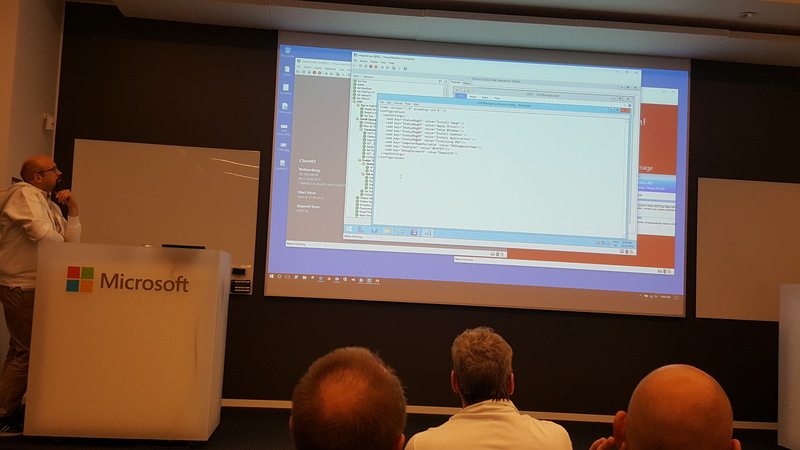 He also mentioned the importance of configuring Event forwarding” in Win10 to ConfigMgr and also brought up that enterprises need to get away from IE11 since all the new features only applies to Edge from now on. 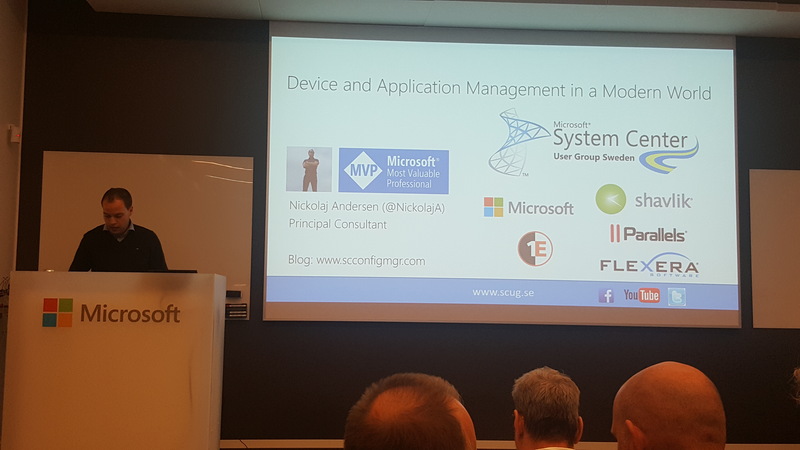 Nicolaj Andersen was next with the talk about “Device and application Management in a modern world” with the focus on mobile devices and Intune. 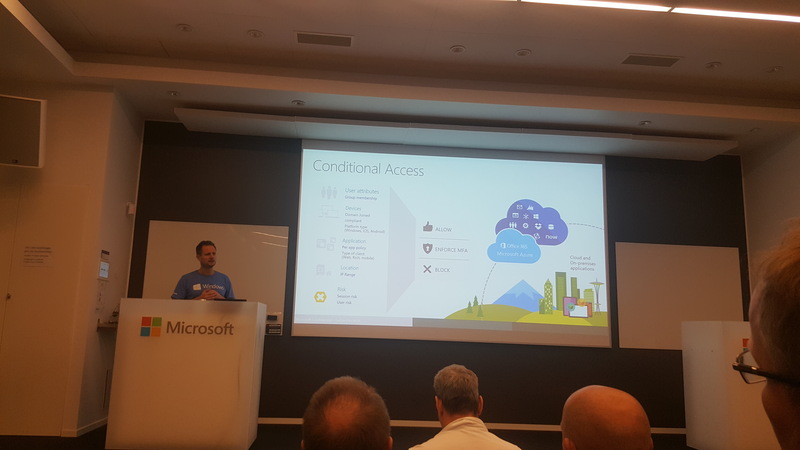 He talked about MAM-Policies and also a bit about how he think Application management will be in the future when more and more gets in to the cloud. 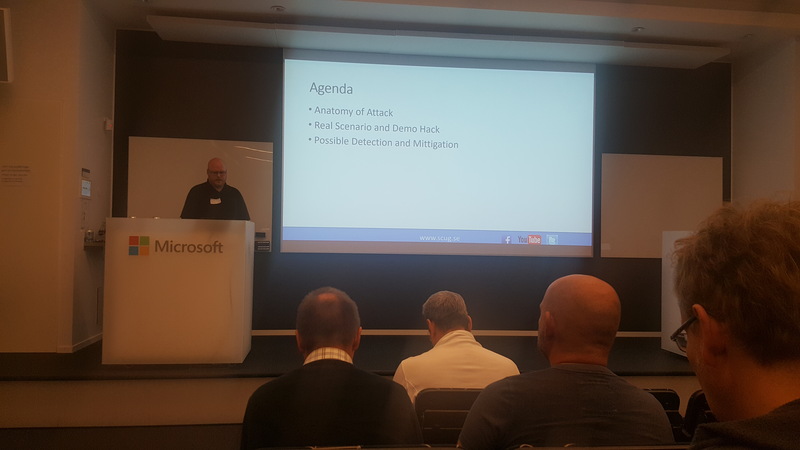 Last but not least was Stefan Schörling and Mattias Borg talked and showed off “Securing your Clients against modern Threats” where they showed how an attack could look like and how hackers would be able to get credentials to your environment. 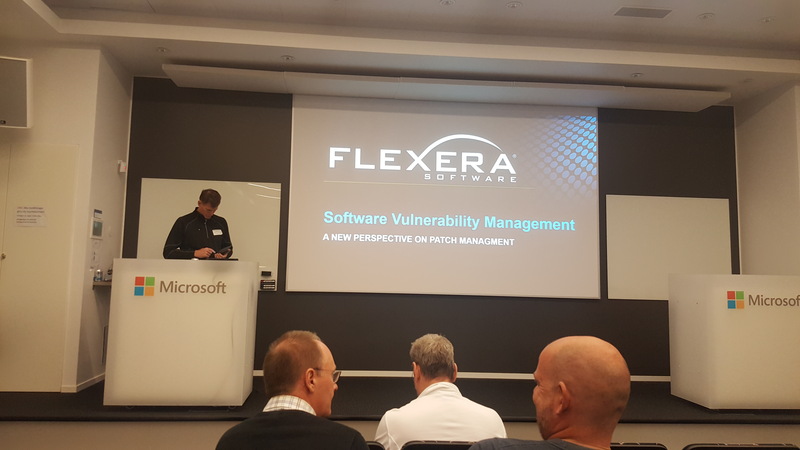 They also talked about how one can mitigate threats like that and what things to think about. 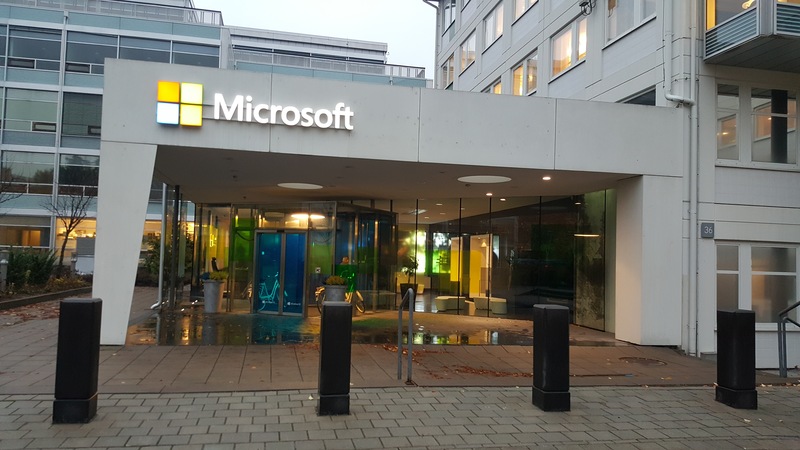 It was a long day over at Microsoft for sure but it was a blast. 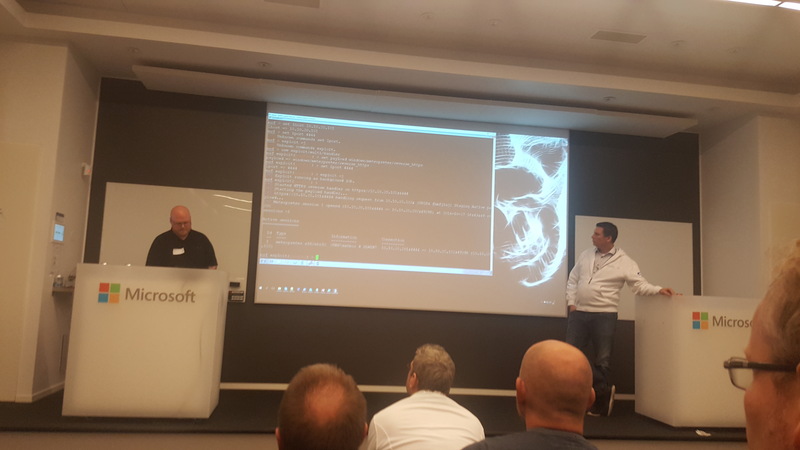 It’s always fun to listen to people who are very passionate about what they do and also people who has very deep knowledge in their area of expertise. 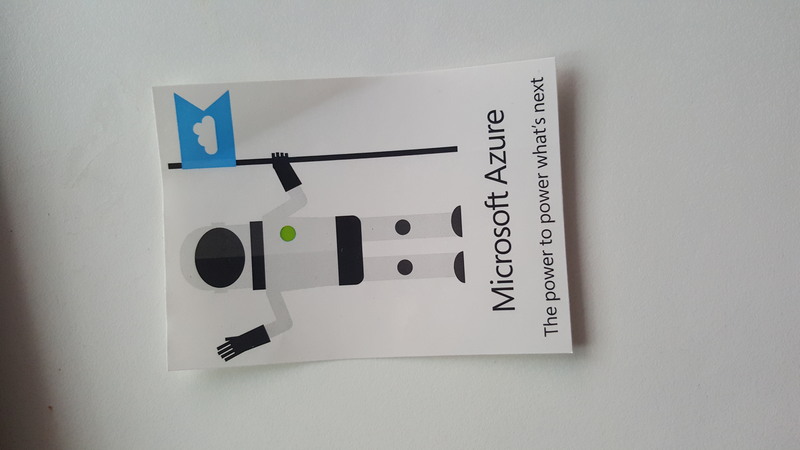 I have probably forgot to mention a bunch of stuff that happen that day but hopefully this will give you a short summery. 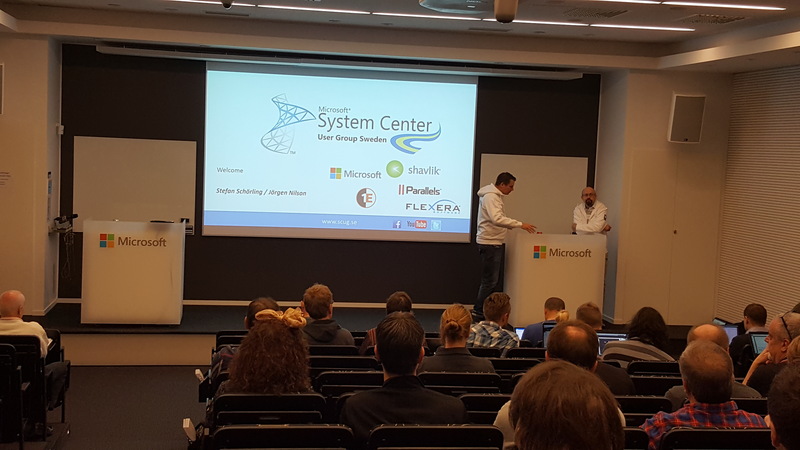 Thanks to all the sponsors, Microsoft, All the awesome speakers and of course SCUG.SE for making this event happen and i hope there’s lots more to come.